Star City is the Philippines' only all-weather, air-conditioned amusement park. 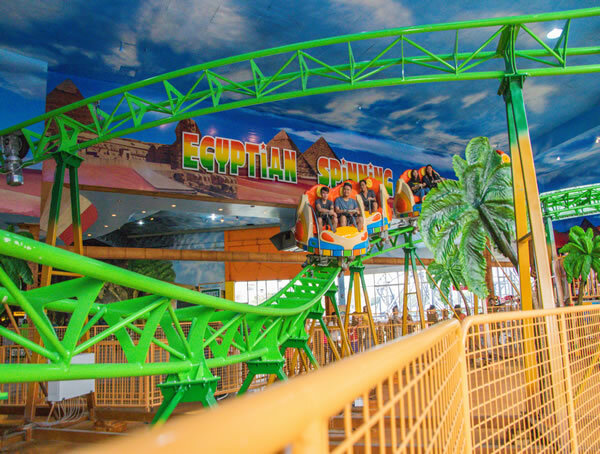 Established in 1991, it now has more than 30 different rides and attractions for people of all ages. 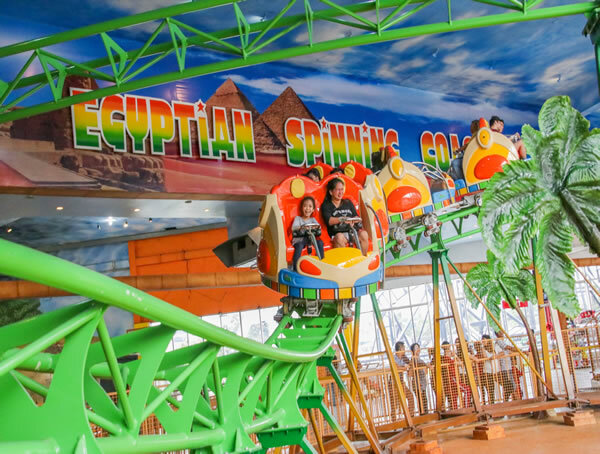 Star City focuses on providing families maximum enjoyment through a stimulating array of indoor and outdoor attractions, captivating both the young and the young at heart. Road Race, Quack-Quack, Kiddie Wheel, Little Tykes, Tea Cup, Kiddie Bumper Car, Rodeo, Ball Pool, Frosty Train and Mini Pirate Ship. Grand Carousel, Annex Carousel, Happy Swing, Magic Forest Ride, Red Baron, Super TeleCombat, Dragon Express, Wacky Worm and Giant Star Wheel. DOES NOT INCLUDE: Mid-way games, coin operated machines, Snow World, Lazer Blaster, Scream Avenue, Star Dome, and Walk on Water. Admission fee included. • In order to provide a safe, comfortable environment for all of our guests, our security officers will conduct bag/baggage checks at the main entrance. • Parents and guardians are responsible for the safety of their children while inside the park. • Certain items which are deemed dangerous or offensive may be prohibited from being brought into the park. Illegal drugs, firearms, other harmful items, as well as two-way radios are strictly prohibited inside the park. • With the exception of baby food items, outside food and/or beverages are not allowed inside the park. • Star City reserves the right not to allow persons with heart ailments, motion sickness, or other medical, physical or mental conditions requiring special attention on certain rides and attractions. • Any ride or attraction currently under maintenance will be prominently posted the park’s video screens and seller’s booths. • During the course of operations, the park reserves the right to discontinue the operation of a ride or attraction if in the interest of safety it feels circumstances so warrant. • Occasionally during unfavorable weather conditions, the operation of certain rides may need to be suspended. The park will not provide refunds due to inclement weather. • Star City reserves the right to, without prior notice, change its operating hours, temporarily close the park or any part of it, or suspend/close a ride or attraction due to capacity or safety concerns or inclement weather. • Guests are responsible for their personal belongings. Star City will not be liable for any loss or damage to guests’ personal property. • Star City reserves the right to refuse entry to or dismiss from the premises without refund any person for failure to comply with any of the park rules, or for unsafe, illegal or offensive behavior. • Please follow all safety warnings and notices. • For your safety, while on a ride or attraction, remain seated with hands, arms, feet and legs inside the vehicle. Do not touch or hold mechanical props and other equipment inside the attractions. • Each guest has different capabilities and limitations, and every ride or attraction has associated risks. Please carefully observe and evaluate each ride and attraction to determine if you or members of your party can safely take it. • Please secure loose belongings such as bags, mobile phones, digicams, jackets, caps, etc. You may leave them at the deposit area at the main entrance or in designated areas available in some rides. • Tickets and Ride All You Can Pop Tags are non-refundable. • Ride All You Can Pop Tags are non-transferable and void if altered. They should be used by the same person during the period of their validity. • Individual ride restrictions should be strictly followed.